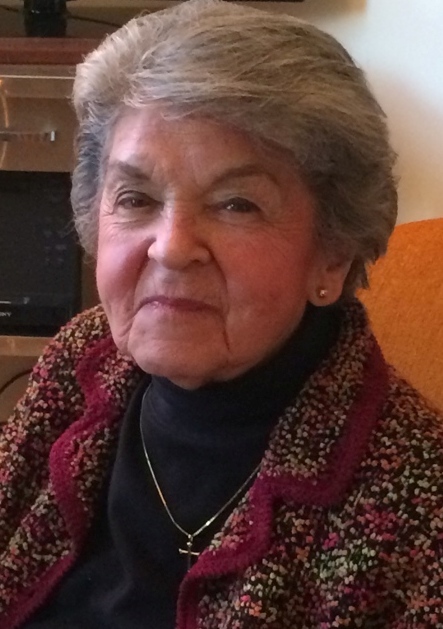 Janet Marie (nee Balogh) Hull, age 92, died January 17, 2019. Beloved wife of the late Edwin J. Hull, Jr.. She was the loving and devoted mother of Laura Marshall (Rick), Edwin J. Hull III (Mary), Kathryn O’Connor (Terrence), Patricia Krehbiel (Steve) and Sharon H. Lindseth. Adored ‘Nan’ of Margaret Philp (Bruce), Henry (Faye) and Chase (Lauren) Marshall; Sheila Wolff (Peter M. Wolff III), Edwin J. Hull IV (Jessica), Annie Micks (Chris), and Hope Hull; John, Terry and Claire O’Connor; Stevie, Edwin (Annie), Rip and Mazie Krehbiel; and Maud, Anders, Adelaide and Fredrik Lindseth; great grandchildren, Edwin J. Hull V, Peter M. Wolff IV, and Everett Marshall. Beloved sister of Joseph (Janet) Balogh and the late Rev. Fr. Donald, Florence Jean, Vincent Balogh and Joanne Mills. Loving aunt, sister-in-law and friend to many. Janet was deeply devoted to her late husband & family, and blessed to spend so much time with her children, grandchildren and great-grandchildren. Janet was born & raised in Cleveland. She graduated from Ursuline College in 1948. Janet was a remarkable woman whose many talents enhanced the lives of those she knew. She had a great love for all kinds of craft projects, and was particularly skilled with sewing – she sewed for her daughters and granddaughters, and even outfitted all the bridesmaids for her five children’s weddings. She took up golf in her 60’s and became as avid a golfer as her husband. She was the president of the 9-holers at Canterbury Country Club where she and her husband Eddy enjoyed many rounds. She enjoyed gardening and learned all the crafts associated with interior decorating. Mom’s lifelong motto was “Seems the Harder I Work, the Luckier I Get”. Those who wish may make contributions in her name to your charity of choice. A Mass of Christian Burial will be held on Saturday, January 26, 2019 at 10 AM at the Church of St. Dominic, 19000 Van Aken Blvd., Shaker Hts., OH 44122.